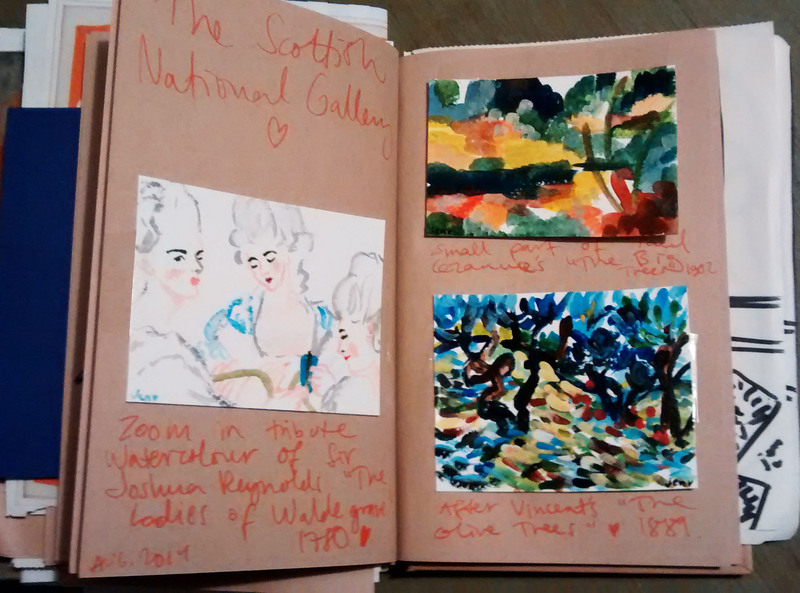 I adore Scotland ❤ We went to Edinburgh so one of the places I really wanted to go to was the Scottish National Gallery. It was quite a large space and filled with a huge variety of work, entry was free and photography allowed! Hurray! My absolute favourite room was (of course) the impressionist room at the top where there were a few Vincent van Goghs, a Monet, some Gauguins, a Cezanne etc. A beautiful room with walls painted an intense royal blue. It had an absolutely lovely painting by Vincent called “Olive Trees 1889”. I will never ever ever ever get enough of Vincent van Gogh. What I love are the visible brush strokes that create such movement and energy, and the bright colours. It is captivating for me and there is a sense of real freedom there. Burst of the moment! In the same room there was a Paul Cezanne “The Big Trees” and I really like how the colours are almost like a palette there, each in a different designated area. The frames of the paintings were AMAZING too!! Love the vintage intricate robust frames that give an extra air of oomph to the paintings inside.